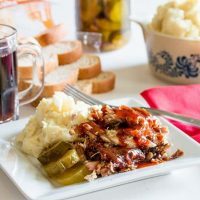 Recipe for Sweet and Spicy BBQ Sauce makes a simple and versatile sauce that is a favorite on the grill and smoker. No need to run out for BBQ sauce when making your own is this easy. My Sweet and Spicy BBQ Sauce recipe doesn’t have a whole lot of family history. However, I love BBQ and this is one of the default sauces that I make for just about every party and gathering we host where we have something BBQ. My wife and I have experimented with this recipe for the last few years and its one we have settled on. Even though we love this recipe and we consider it our standard, it’s something we still like to experiment with every now and then. This recipe is easily tweak-able and super friendly to experiment with. Want it less sweet? Back off the sugar. Want it more tart? Add more vinegar. Want more heat? Add more cayenne. I tend to tweak this recipe based on what I’m cooking it with. For grilled foods like chicken and pork chops, I tend to like to leave this recipe a little on the sweeter side. I like to use more vinegar when cooking fattier cuts of meat like brisket and pork shoulder. I think the vinegar helps balance and cut through the fat a bit better. This BBQ sauce recipe makes a good bit of sauce. I normally split the recipe into two separate containers. One container gets an extra dose of cayenne pepper. My wife likes the mild while I love the hot version. Add all of the ingredients into a sauce pan. Use a whisk to blend into a uniform sauce. 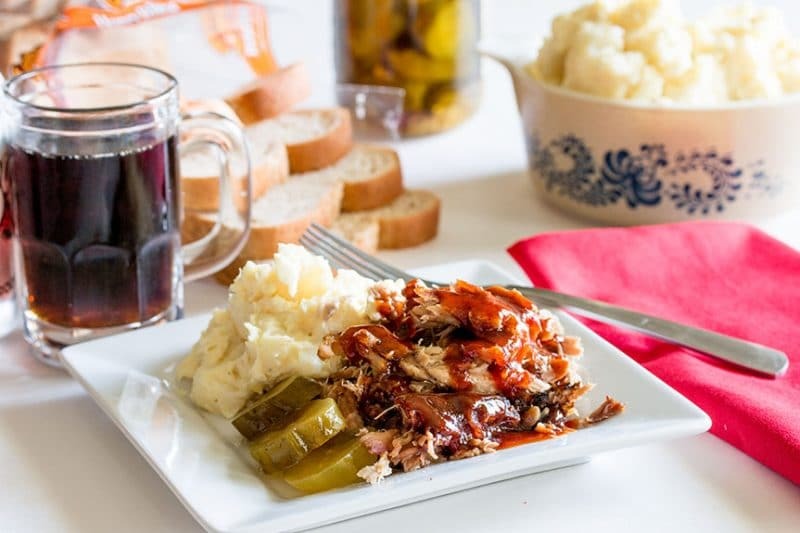 Taste the BBQ sauce and add apple cider vinegar to your liking. For me this depends on what I’m serving it with. Add no vinegar for a super sweet sauce or all of the vinegar for a more balanced sauce. Remove from heat after it comes to a simmer. Put lid on sauce and let cool. When it is cool enough to handle, pour the sauce into mason jars or squeeze bottles. For a thicker sauce, allow sauce to simmer until thickened to your preference. Once thickened, removed from heat and continue following directions. Amy, thank you for the comment. I love Worcestershire sauce and I can drink it from the bottle too. Haha.